Online retailer Amazon says it had its biggest sales day in the UK as shoppers rushed to buy bargains on Black Friday. The UK version of the website sold more than 7.4m items while other retailers had problems with web sales due to huge demand. Retail analysts said online sales were estimated to have passed £1bn on a single day for the first time. The discount day originated in the US, traditionally kick-starting the Christmas shopping period. Argos confirmed it had experienced delays on its site after “extremely high levels of visits”. John Lewis said its site had been down for a short time in the afternoon. 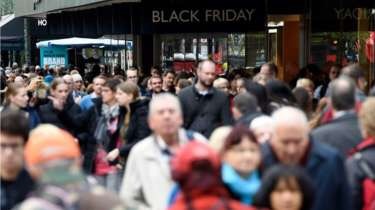 Last year’s Black Friday saw shoppers in the UK fighting over bargains in some stores, leading some retailers to hire extra security staff over the weekend to prevent a repeat. But analysts said this year many shoppers had chosen the internet over the high street. 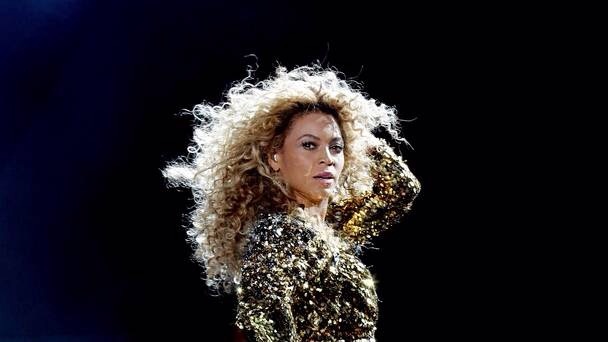 Sir Philip Green’s retail empire confirmed its long-awaited new clothing range with singer Beyonce will launch next spring. Arcadia announced late last year it was teaming up with the g lobal superstar for a 50/50 joint venture, called Parkwood Topshop Athletic – a new fitness and streetwear brand. News of the launch date came as Arcadia owner Taveta Investments – the company that holds Sir Philip’s retail brands including Topshop, Dorothy Perkins and Burton – posted a 2% rise in underlying pre-tax profits to £202 million for the year to August 29 despite flagging store sales. Sir Philip said the result came amid “challenging times” as the group reported a 0.9% fall in UK underlying like-for-like retail sales over the year, with total comparable sales 0.7% lower. And it revealed a gloomier picture so far in the new year as sales have dropped 2.3% in the first 10 weeks. The results do not include figures for BHS, which was sold in March. Sir Philip offloaded the loss-making store chain to a consortium of little-known investors called Retail Acquisitions for a nominal sum reported to be as little as £1. The deal has been seen as unusual, as it will lead to the launch of a new company, whereas retailers and celebrities traditionally agree branding links or design collaborations. Parkwood Topshop Athletic will offer clothing, footwear and accessories across dance, fitness and sports categories, sold across Topshop stores and Topshop.com. Taveta also said it was seeing “very encouraging results” so far of its trial to trade Dorothy Perkins, Burton and Evans brands within Tesco stores. It has opened 14 outlets in five Tesco supermarkets to date. Sir Philip said the group had delivered a “robust performance in challenging times”. The group now has 2,358 stores following the BHS sale and after shutting 86 sites as leases have ended. John Lewis has forbidden its staff, otherwise known as partners, from using their discounts on online during the event. Partners at the British high street retailer are usually entitled to 12.5% off electricals and 25% off everything else. However, during the Black Friday and Cyber Monday weekend, partners will be unable to apply their discounts online to reduced items so as to give customers a better shopping experience. This is similar to Boxing Day in previous years, when the department store chain also puts a hold on staff discount online. Previous Black Fridays have seen online stores buckle under the sheer weight of customers looking for the best deals. Many participating chains this year have invested highly in improving their digital capabilities. Retailers involved in Black Friday must also be prepared for stock shortages as eager customers scramble for the best offers. 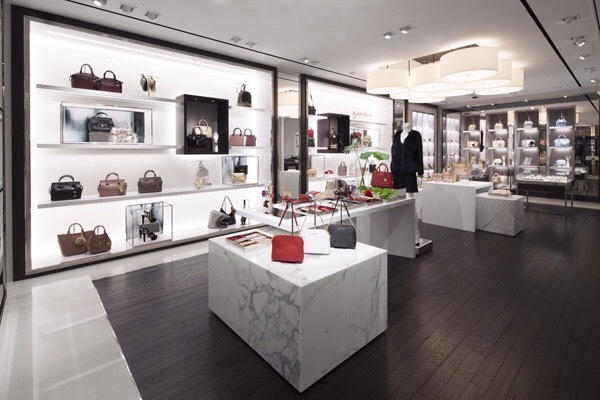 Michael Kors has opened its largest Japanese flagship store on Chuo Street in Tokyo’s Ginza district. The store is the first in the world to carry every category offered by the global luxury retailer. The 724 sq m store reflects the new design concept unveiled last year at the Jing’An Kerry Centre in Shanghai, including a shimmering exterior facade inspired by Michael Kors’ signature use of metallics and texture. The facade comprises luminous screens made of unique, light reflective facets set within a grid of internally lit recesses. In addition, a large-scale branded campaign image covers the balance of the second and third story facade, creating an effect that is elegant and kinetic. The ground floor features curated presentations of accessories, including handbags and small leather goods, from the Michael Kors Collecton and MICHAEL Michael Kors labels. 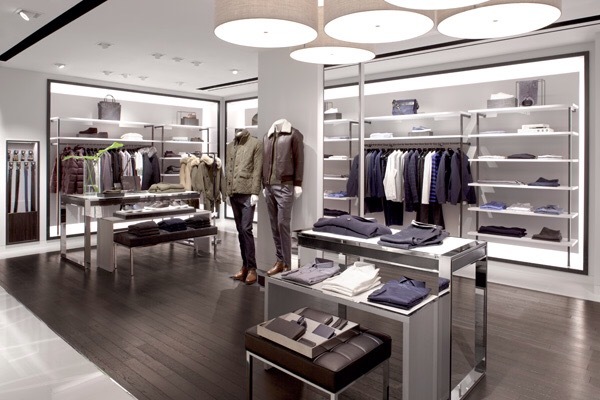 Downstairs, the lower level is dedicated to menswear and men’s accessories, making the Ginza flagship the first freestanding Michael Kors store in Asia to offer menswear. Women’s ready-to-wear is located on the upper floor in sophisticated rooms designed to complement the Michael Kors Collection and MICHAEL Michael Kors labels. On this floor, customers can browse, try on clothes and consult with the store’s personal stylists in a calm environment and feel completely indulged. This floor also showcases an elevated display of watches, jewellery, eyewear and a selection of the brand’s fragrances. This floor is finished off with a grand shoe salon featuring footwear from both labels. The store interior reflects the jet set glamour of the brand, and features white marble flooring and custom white painted wood fixtures for a sleek and refined feel. Rice paper accents and framed Macassar wood boxes highlight key products and evoke the elegance of sophisticated Japanese design. Luxe ultra suede fabrics are also used throughout the store to enhance the inviting atmosphere. 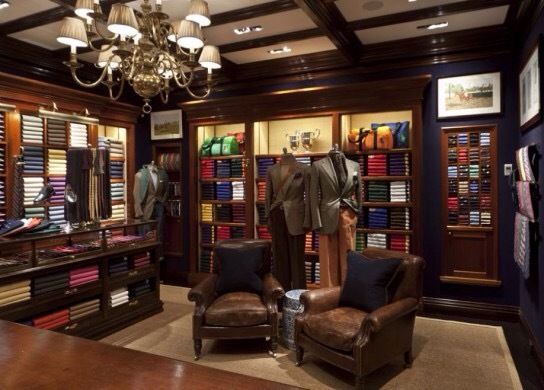 Ralph Lauren has recently opened its first Polo Ralph Lauren label flagship store in the Italian capital of Rome. The new store cover 465 m² on two floors at the corner of Via del Corso and Via Frattina. The new store also features the Polo Sport line. The label currently has 15 flagship stores globally, 8 of which are directly operated. Further openings are expected in London and Sao Paolo. 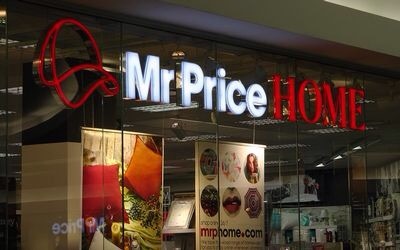 MR PRICE’s shares declined 5.52% to R202.19 after a slowdown in its first-half sales growth failed to live up to its shareholders’ high expectations. A senior analyst said the group had lost its “designer look for cheap” edge as it shifted its merchandise styling. “Two years ago they moved styling mainstream to get more of the young black market. Mr Price became one of the many moving into that space — making them more cyclical due to their exposure to the lower market. 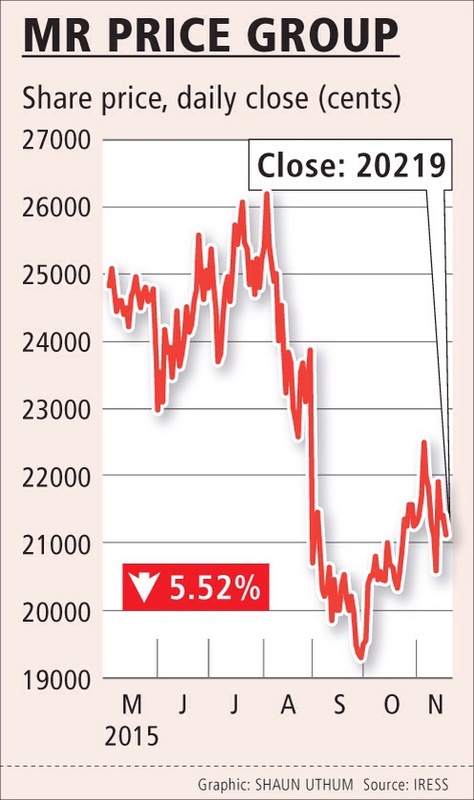 They began to buckle when the economy started to go down because of this move,” Sasfin Securities’ Alec Abraham said. Mr Price reported a 16.7% rise in net income to R1.08bn in the 26 weeks to September 26 — a deceleration from the 23% gain in the same period a year earlier. Revenue grew 9.2% to R9bn with retail sales increasing 8.6% to R8.6bn, with comparable store growth of only 4%. In Wednesday’s results statement, CEO Stuart Bird blamed a high comparable base in the group’s apparel business, the timing of the Easter school holidays and the late onset of winter. “The economy is not in good shape and consumer confidence is understandably low. “We were trading off an exceptional performance in the corresponding period last year … (where) Mr Price apparel grew sales by 20% and comparable sales by 15%. In so doing it created an extremely high base to beat in a softer trading environment,” he said. The group’s gross profit margin of 40.1% was 1.3% lower than last year. The merchandise margin was hit by exchange rates and, to a lesser extent, higher markdowns, and fell 1.1% to 40.7% of retail sales. Mr Abraham said had the retailer not moved “down-market” and away from the very robust “top end”, the group would have had a more resilient top-line performance. It seems as if months of ongoing discussions are finally set to come to a head as South African retailer Truworths is to complete its acquisition of British footwear chain Office this week. Truworths, which is listed on the Namibia and Johnannesburg stock exchanges, is expected to sign an agreement this week to finalize its purchase of Office. The clothing retailer is believed to be paying approximately 260 million pounds for the footwear chain, which is less than the 300 million pounds pricetag linked to Office before. News of a potential sale to Truworths, which is interested in expanding its businesses outside of Africa, is said to have boosted the footwear chain annual sales. The sale comes after Office’s owner, private equity firm Silverfleet Capital explored options for a potential stock listing. Silverfleet acquired Office in December 2010 from Scottish entrepreneur Sir Tom Hunter for an undisclosed sum. Under the helm of the company’s chairman Allan Leighton, Office has grown and expanded into new territories such as Germany. 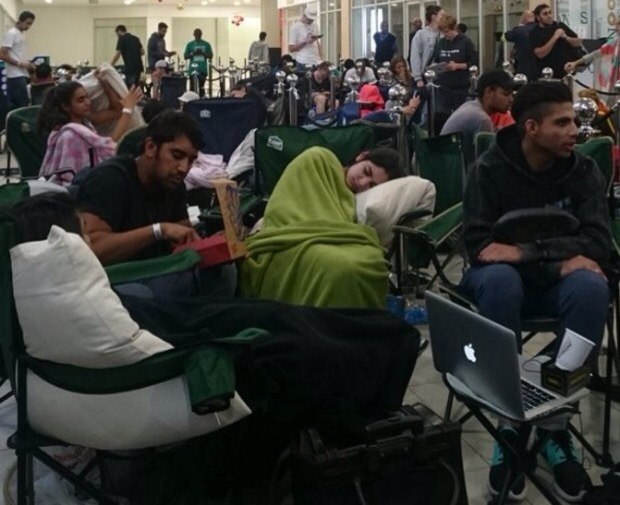 More than 200 Joburgers camped out overnight for a first taste of the iconic U.S. Krispy Kreme doughnut — still warm and dripping glaze, fresh off the conveyor belt — at today’s opening of the first South African and African store, according to a report in EatOut. Sixteen doughnut flavors will be on sale — the top 10 bestsellers in the world and six unique to the South African market, BusinessDayLive reports. The Winston-Salem, North Carolina-based doughnut company and coffeehouse chain is licensed to open 31 Krispy Kreme shops in South Africa. Customers got to watch the doughnuts being made at the new store in Johannesburg’s Rosebank Mall, which can produce up to 110 dozen doughnuts an hour. 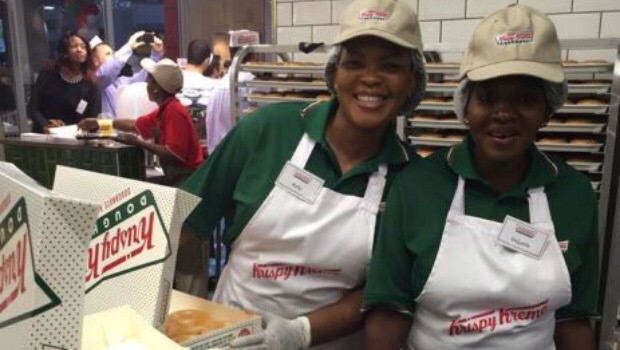 There’s also a Krispy Kreme factory in Sandton capable of making 270 dozen doughnuts an hour that will be a distribution hub for other Gauteng stores. Krispy Kreme has its eye on other African markets such as Ghana, Kenya and Nigeria but first it’s trying out South Africa, according to BusinessTech. “Within five or six years we could be in five or six countries in Africa,” said Michael McGill, international vice president of Krispy Kreme. “This is the hottest new market in the world,” he told CNN Money. Burger King re-entered the South African market in 2013, and was met with long lines of customers when it launched, as was Swedish clothing retailer, H&M, which opened in early November in Cape Town. Starbucks plans a 2016 launch and Krispy Kreme competitor, Dunkin Donuts, also wants to open shop in South Africa, according to Business Tech. The South African Krispy Kreme stores will be in malls. “Our roll-out strategy is mall-based because the South African retail landscape is dictated by malls and that is where you mitigate your risk and you know you will get the right foot count coming into your stores,” said Gerry Thomas, CEO of Krispy Kreme Doughnuts South Africa, according to BusinessDayLive. Krispy Kreme signed a licence agreement in May with Fournews and John & Gerry’s Brands. Fournews is a restaurant franchisor with brands including News Café, Moyo and Smooch, a frozen yogurt chain.. Listed on the New York Stock Exchange, Krispy kreme plans to open in Myanmar, Bangladesh, Cambodia and Guatemala, BusinessDayLive reports. In the U.S., Krispy Kreme sells its products in grocery and convenience stores, in standalone stores, drive-throughs and kiosks. U.S. marketing, executive and operational training teams have been in South Africa to help out with the Rosebank opening. Krispy Kreme plans to import the “secret” doughnut mix but will get ingredients such as sugar, shortening, packaging and toppings locally. Stores in KwaZulu-Natal and the Western Cape will open in 2017 and 2018, BusinessDayLive reports. Krispy Kreme has more than 1,000 shops in 25 countries, according to a company press release. The mood inside Yahoo is becoming increasingly grim and contentious, with executives and staff at the company losing faith in CEO Marissa Mayer, according to an in-depth and critical report in Forbes. Yahoo insiders say Mayer’s style as a micromanager and the lack of a coherent strategy have prevented the internet company from accomplishing the big comeback that many were hoping for when Mayer was hired three years ago, Forbes’ Miguel Helft writes. The situation hit a low point in October, when an off-site meeting of Yahoo’s top brass in a ritzy San Francisco hotel devolved into a chaotic scene, in which a speaker was heckled by colleagues, Helft writes. In a chorus of curses, some VPs reportedly attacked their superiors for not listening or understanding. The discontent at Yahoo has been building for some time, with a wave of recent executive departures and rising criticisms over Mayer’s management style, as Business Insider previously reported. Mayer’s attempts to portray those departures as the result of “careful planning” to better the company proved especially galling to some. According to Forbes, Yahoo’s efforts to reorganize its product teams around mobile services was a slow, protracted process that damaged morale. And Mayer’s style of micromanaging, which some said requires that execs wait for personal emails from Mayer approving certain compensation and hiring matters, is also a big source of frustration. With Yahoo’s business languishing, and the spinoff of its Asian assets in question, there is growing speculation about how long Mayer will last in the top job. Forbes notes that some Yahoo insiders speculate that Mayer could call it quits as soon as December, using the birth of her twins at that time as the opportunity to make a graceful exit. 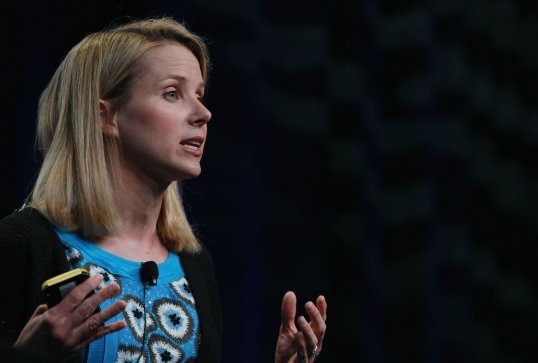 If she leaves, Mayer will become the latest in a long list of high-profile executives who have taken the CEO job at Yahoo and left amid growing investor and internal discontent. Lifestyle brand Joules has marked the opening of its landmark 100th store in Dublin. The brand’s 100th store is located on Wicklow Street, in the heart of Dublin. It is Joules’ first city centre store in the Republic of Ireland and will showcase menswear, womenswear and childrenswear across two floors. This is a milestone for the brand, which in contrast to other retailers is strategically increasing its retail estate to support its online and click and collect channels. Joules is growing. 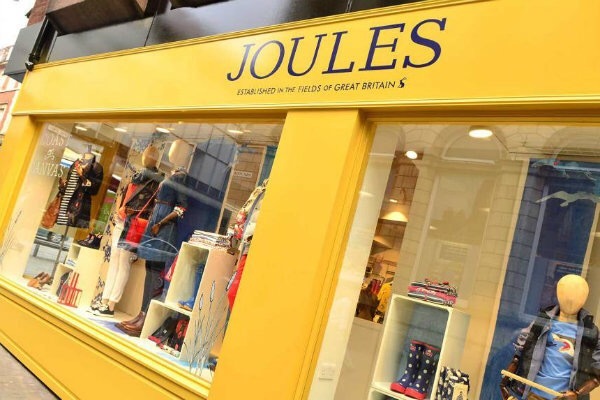 In the British retailers 2014/15 results, there was a demonstrable appetite both at home and internationally for Joules’ products. 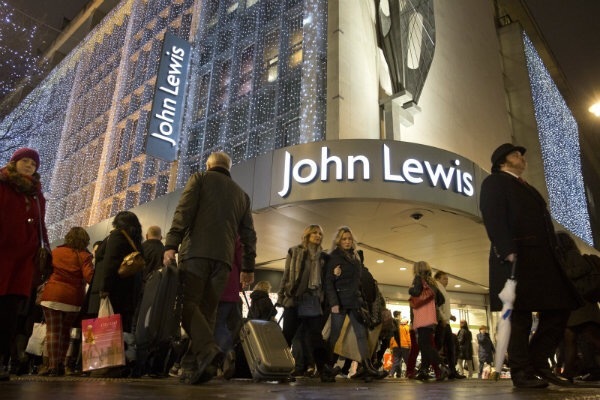 Total revenue grew 22% to £117m, underlying profitability increased and UK revenue increased 17.5% across retail, online and wholesale business, particularly with John Lewis. UAE master developer Nakheel will meet a host of European retailers and investors as it highlights retail projects in Dubai worth over €3.7 billion ($3.9 billion) in construction costs at Mapic, the annual international retail real estate show in Cannes, France. The biggest retail developer in the Middle East with more than 15 million sq ft of shop space across 14 existing and upcoming large-scale projects, Nakheel will highlight the unique opportunities offered by Dubai’s retail and leisure scene at the show. The annual event, which opened yesterday (November 18), expects to attract over 8,000 delegates over the next two days. Nakheel, the developer of some of the world’s most famous global landmarks including Palm Jumeirah, The World, Jumeirah Islands and Ibn Battuta Mall, said it has awarded construction contracts to the tune of €1.2 billion ($1.29 billion) for retail projects in the last three years, but is now set to treble that figure with another €2.5 billion ($2.7 billion) worth of contracts in the pipeline. The company boasts over 11 million sq ft of retail space in the pipeline through 10 projects anticipated for delivery over the next three to four years. 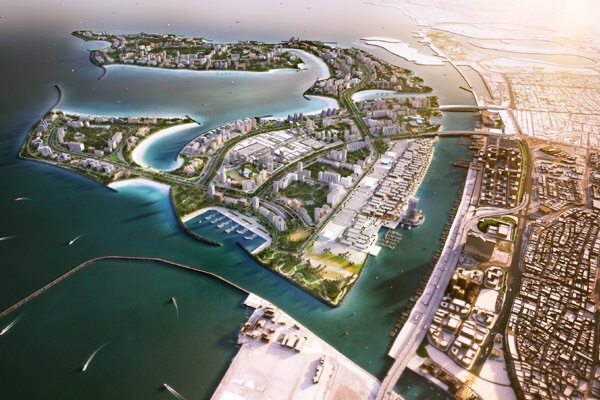 The projects – at various stages of design and construction – are Nakheel Mall and The Pointe on Palm Jumeirah; Deira Mall and Deira Islands Night Souk at the new Deira Islands coastal city; Al Khail Avenue and The Circle Mall at Jumeirah Village, one of Nakheel’s largest master communities; Warsan Souk at Warsan Village; two major extensions to the existing Ibn Battuta Mall and a large expansion at Dragon Mart, to be renamed Dragon City. The Dubai developer already operates four million sq ft of retail space at Ibn Battuta Mall, Dragon Mart and Golden Mile Galleria, which together have over 4,400 outlets. Nakheel said its retail pipeline will add 7,500 stores. “Our retail offering includes a range of new landmark projects to be delivered in line with Dubai’s 2021 vision. Located in prime positions across Dubai, with thousands of stores, dining outlets and entertainment venues, these are set to become leading destinations and attractions for millions of Dubai’s residents and tourists,” observed Lootah. “Some are already fully leased – proof of the appetite among retailers to be part of Dubai’s future,” he stated. 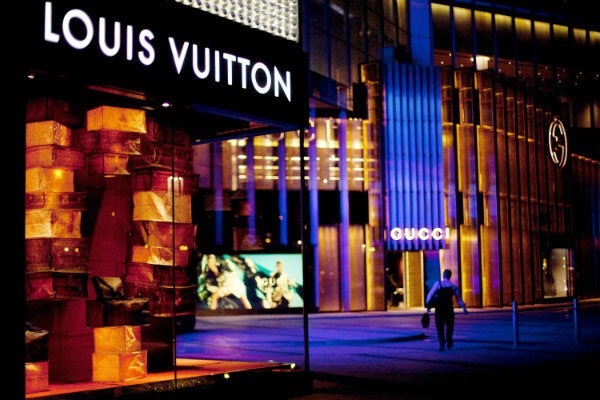 Louis Vuitton has recently announced the closure of three China stores, including its first outlet in Gaungzhou. According to sources close to the brand, the luxury retailer is preparing to close several more stores across the country in the coming months. Parent company LVMH said that overall sales in Asia fell by more than 9% in its third quarter of trading, with Louis Vuitton China sales “suffering” in particular. These closures illustrate the pressure that China’s luxury sector is facing, on the back of a slowing economy, government run anti-corruption and anti-extravagance campaign. Launched in late 2012, the three year political movement has hindered demand for all types of luxury goods in the country. Global brands such as Louis Vuitton are now viewed as commoditised and overpriced among China’s changing, sophisticated consumers. While many luxury goods makers have expanded their sites in China over the past decade to appeal to the nouveaux rich, the store closure count is quickly picking up pace across the market. “According to my information, 20% of Louis Vuitton’s stores in China will have disappeared by mid-next year: that is a closing rate of about one store per month,” Emmanuel Hemmerle, a leadership consultant told The FT. While China’s economic slowdown has hindered Louis Vuitton’s worldwide success, the high-end company still opened a store in Beijing and Hangzhou earlier this year. In a statement on Monday, Louis Vuitton said that it “will continue investing in China in the current store network in order to enhance the level of experience we wish to offer to our clients”. According to a report by US-based analysis company The Demand Institute and its parent company The Conference Board, overly optimistic growth and consumption projections for China have misled foreign investors. Multinational and luxury brands have been misled into investing too much into the wrong Chinese cities. “To a certain extent LV has been suffering from brand overexposure. Having so many stores in China and particularly in these lower-tier cities doesn’t make sense economically but is also not very good for the brand,” said Torsten Stocker, partner at consulting group AT Kearney. 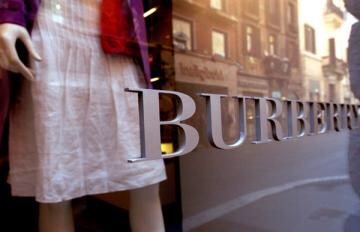 Burberry has reported that pre-tax profit rose by 9% to £154.7 million in the first half of its financial year. Adjusted profit before tax was £152.9 million compared to £152.3 million a year ago. However, sales were flat in the six months to 30 September at £1.1 billion. Sandwich shop chain Subway has opened its first UK store situated in a car dealership. The shop, which launched earlier this month, is housed within the Skipton Ford dealership in North Yorkshire and is owned by Subway franchisees, Mark and Ed Bentley. Catering for the dealership’s customers and staff, the store will also be selling the chain’s range of sandwiches, salads and flatbreads to local people as well as nearby businesses and passing trade. Developing stores in off-high street locations is now a major focus for Subway. There are currently over 500 Subway stores open in non-traditional locations such as convenience stores, petrol station forecourts, universities and hospitals. 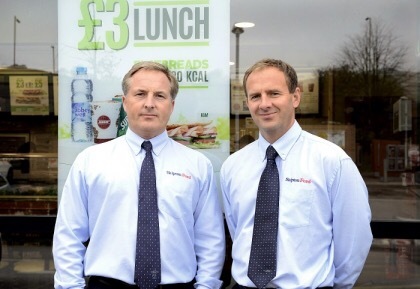 Brothers Mark and Ed already operate a Subway store in Garforth near Leeds and also own and run three car dealerships, including the one in Skipton. Greg Madigan, area development manager for Subway UK and Ireland, said: “Non-traditional locations are a key area of growth for the Subway brand in the UK and Ireland. The simple operations that are involved in running a Subway franchise and the convenience offer makes it a perfect fit for these style locations, in this case for dealership customers and those visiting the store. 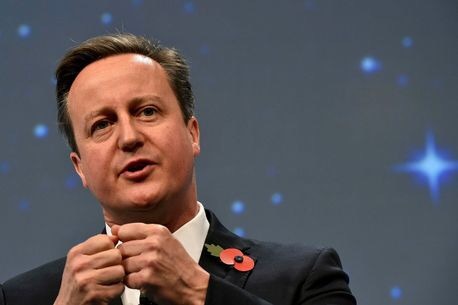 David Cameron has gone to war with store bosses by refusing to cut business rates. High street chiefs have pleaded with the Government to reduce the levy, which rakes in £26billion a year. But the Prime Minister said a review of the current system wouldn’t bring down the total amount raised. He told the CBI conference in London: “I don’t want to pretend there is a simple answer. Cameron was responding to a question from the British Retail Consortium, which claims the industry faces a £14bn jump in costs by 2020 from a raft of taxes and initiatives, including the National Living Wage. Without reform of business rates, which increase every year in line with inflation, it says retailers will facing a total bill of £41.4bn between now and then and could lead to 80,000 shop closures over the next two years. Cameron’s comments will anger the high street, which has been one of the loudest critics of business rates. Some of Britain’s top store bosses, including the head of Tesco, recently wrote to Chancellor George Osborne calling on him to ease the burden in the forthcoming spending review, as the Mirror recently revealed. Should the Government cut business rates to help the high street? 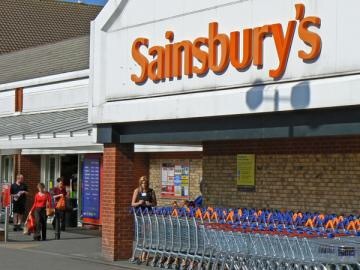 Sainsbury’s saw its underlying pre-tax profit decline by 17.9% to £308 million in the first half of its financial year. Underlying group sales fell by 2% to £13.6 billion while retail sales edged down 0.1% excluding fuel. Meanwhile, like-for-like sales declined by 1.6%. Although food sales declined by nearly 1%, clothing performed strongly with sales up nearly 10%. The supermarket’s smaller convenience stores delivered sales growth of nearly 11% as Sainsbury’s opened 37 new shops to take the total to 741 stores at the end of the half year. Online grocery sales rose by 7%, with orders up nearly 14% in the period. He will be succeeded as CEO by Cyrille Vigneron, currently the president of LVMH Japan. De Quercize’s resignation is with immediate effect. 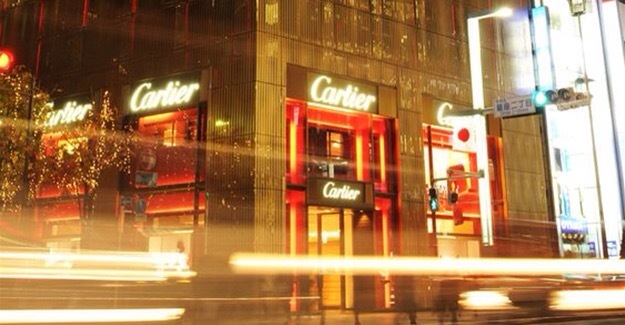 Richemont said however that he would remain a group executive, taking over the role of chairman of Richemont France. LVMH and Richemont had agreed that Vigneron would formally assume his new position on 1 January 2016, Richemont added. Prior to joining the LVMH Group, Vigneron worked with Richemont from 1988 to 2013. He worked principally with Cartier, rising to become managing director of Cartier Japan, president of Richemont Japan, and finally, managing director of Cartier Europe. “In his capacity as Chief Executive Officer of Cartier, Mr Vigneron will become a member of the Group Management Committee from 1 January 2016. Thereafter, he will be nominated for election to Compagnie FinanciÃ¨re Richemont’s Board of Directors in September 2016,” Richemont said. Commenting on the changes, Johann Rupert, chairman of Richemont, said: “Stanislas de Quercize has had a superb career to date, having worked with Cartier, Montblanc and Alfred Dunhill prior to taking up positions as Chief Executive of Van Cleef & Arpels and Cartier. I and all my colleagues on the Board, in management and across both Richemont and Cartier, recognise his commitment, work ethic and enthusiasm. We deeply regret that Stanislas has decided to stand down but must accept his decision. Manama: The second edition of Bahrain Shopping Festival, ‘Shop Bahrain’, is set to be the biggest nationwide festival with a unique 30-day celebration of Bahrain’s heritage, hospitality and tourism offering for the entire family running from December 24th 2015 until 23rd January 2016. The announcement was made today during a press conference held at Al A’ali Shopping Complex, the first shopping Complex to sign up for Shop Bahrain, in the presence of the festival’s partners. Tamkeen’s Chairman and Acting Chief Executive, Shaikh Mohammed bin Essa Al Khalifa, said that the objective of the festival is to stimulate the national economy and attract tourists from neighboring Gulf countries. “Based on the success of the inaugural shopping festival, the organizing committee of the festival has been working hand-in-hand with the partners from the public and private sector in order to ensure the success of this year’s festival,” said Shaikh Mohammed. “Last year, over 2,000 retailers took part in the festival and we witnessed BD18 million worth of shopping during the six-week festival with a surge in tourists from across the Gulf region. This year the line-up is bigger and better,” he added. Shop Bahrain will mirror the Kingdom’s position as a welcoming, accessible, family destination with an incredibly diverse range of retail experiences from luxury malls to traditional souks to luxury boutiques coupled with unbeatable bargains and promotions. The second edition’s calendar of events includes ‘VIVA Shop & Skate’ the largest outdoor skating rink housed outside Al A’ali Shopping Complex and ‘The Family Fair’ an exciting carnival held during the New Year’s Eve Weekend at Prince Khalifa bin Salman Park in Hidd. Other highlights include the return of Al Riwaq’s ‘The Nest’, showcasing local and regional talent, in addition to ‘The Taste Tour’ taking place in the center of it all – Adliya. Mega raffles will also offer visitors and residents the opportunity to win big and amazing prizes. Registration for Shop Bahrain runs until the 22nd of November 2015, providing retail outlets the opportunity to be a part of the Kingdom’s largest event. Participating retail outlets will also receive numerous benefits based on the selected package. Speaking during the press conference, the Assistant Undersecretary for Tourism at the Ministry of Industry, Commerce and Tourism, Sheikh Khaled bin Humood Al Khalifa confirmed that the shopping festival will contribute to the development of the economic sector and stimulate tourism visitors between the Gulf Cooperation Council countries thus resulting in the increase of the number of visitors to the Kingdom. Shop Bahrain will create a fun atmosphere through various promotions and entertainment events that will position the Kingdom of Bahrain as a shopping destination for many tourists. The festival will be one of the leading events in a Manama the Capital of Gulf Tourism for the year 2016. Shoppers and visitors can find out the latest information about Shop Bahrain through the festival’s website http://www.shopbahrain.com or by following any of its social media channels on Facebook, Twitter, Instagram and YouTube @shopbahrain. US retailer Target has teamed up with Borderfree to launch an international version of its website, making its products available to UK consumers. US retailer Target has launched an international version of its website, making its products available to UK shoppers for the very first time. The company’s international platform also opens up its goods for 200 other countries and territories worldwide. 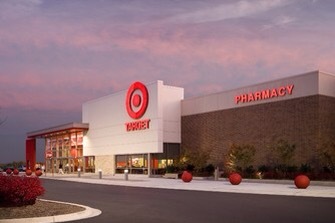 At Intl.Target.com, both international and US visitors will be able to shop about half the assortment of Target.com, and the prices will be the same as those offered in the US website but can be shown in nearly 60 different currencies. Target’s eCommerce platform partner is Borderfree, a Pitney Bowes company, which is also helping UK suits and shirts retailer Austin Reed reach global markets via its online retail technology. Jason Goldberger, president of Target.com and mobile, said: “We believe international consumers will love shopping the great brands, great prices and exclusive products that are synonymous with Target. When international guests visit Target.com, they will be taken to the new portal, where they can designate the country they would like to ship to and also choose their currency. Checkout pages will be translated into the local language and the all-in price with shipping charges, duties and tariffs will be clearly displayed for shoppers. “International shipping marks another step toward Target being able to truly deliver for guests anytime, anywhere,” added Goldberger. 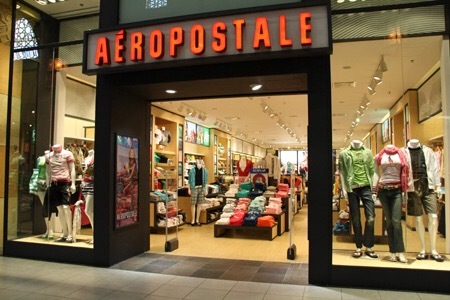 Aeropostale Inc. ARO, +16.66% the mall-based apparel retailer, said it signed two licensing agreements that will launch new stores in Thailand and Egypt. The deal with Robinson Department Store Public Company will open about 40 standalone and store-within-a-store locations in Thailand over the next five years. The first store will open in the Robinson Department Store in Sriracha. The agreement with Q and A Retail Company will open approxiamately 40 standalone stores over the next five years in Egypt. The store openings will begin in early 2016. Aeropostale shares are down 71.1% for the year so far. The S&P is up 2.2% for the same period. 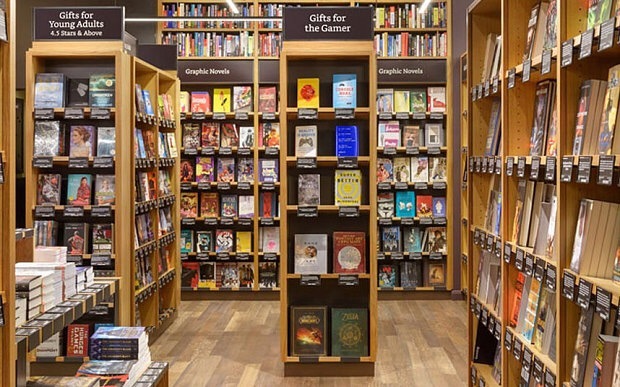 Amazon will open the doors of its first ever physical book shop in time for Black Friday, the company has confirmed. The e-tailer giant has selected between 5,000 and 6,000 titles for Amazon Books based on ratings from customers and pre-orders on its website, which will be sold at the same price. The shop is located in University Village, an up-market shopping centre in Seattle, where Amazon’s headquarters are based. Visitors can also test out Amazon’s hardware, including its Kindle range of e-readers, Fire TV set top box and Fire tablets. In theory, the shop could also act as a drop-off point for returned items. The opening comes ahead of Black Friday, the biggest shopping day in the calendar on November 27 as retailers slash prices in a bid to get the Christmas shopping frenzy underway. Amazon is a key part of the event, offering flash deals throughout the month. Internet spending on November 27 alone is expected to hit £1.07bn, a 32pc increase on last year’s £810m, according to Experian-IMRG. Egyptian billionaire Nassef Sawiris has raised his stake in Adidas to 6 percent, making him the biggest shareholder in the German sportswear retailer. A statement from the Stuttgart bourse said one of Sawiris’ investment vehicles, NNS Holding, now owns 4.3 percent in Adidas, while Sawiris himself holds a direct 1.7 percent stake, according to reports from Bloomberg and Wall Street Journal. The disclosure is required after an investor crosses a 5 percent threshold in a listed company. 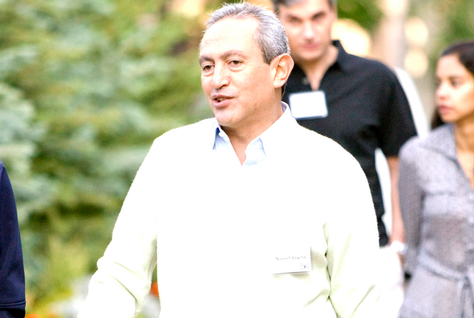 Sawiris is now Adidas’ biggest shareholder, followed by funds managed by BlackRock Inc and Mason Hawkins’ Southeastern Asset Management Inc.
Nassef Sawiris is Egypt’s richest person with a net worth of $5.5 billion, according to Forbes. He also runs Orascom Construction Industries (OCI), the Egyptian subsidiary of Dutch company OCI NV, and last year set up a private equity fund, Nile Holdings Investments (NHI), which targets buyout opportunities in Egypt. 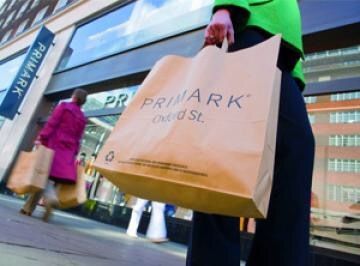 Primark owner Associated British Foods has reported that sales at the fashion chain were 13% ahead of last year at constant currency mainly driven by an increase in retail selling space of 9%. Like-for-like sales in the early part of the financial year were impacted by the unseasonably warm autumn but this was followed by strong trading across the Christmas period. Spring trading was also held back, this time by cool weather, although there was a recovery in the fourth quarter. Adjusted operating profit was £673 million compared to £662 million in the previous year. During the year, Primark opened almost one million square feet of selling space bringing the total estate to 293 stores and 11.2 million square feet at the financial year end. Some 20 new stores were opened including relocations to larger premises in Northampton and Murcia, Spain. The new stores also included 77,000 square feet at Downtown Crossing in Boston, Primark’s first store in the US, which opened on 10 September. ABF is planning to open a further seven Primark stores in the US, most of which will launch later next year. Dublin department store Arnotts has been acquired by the Selfridges Group, the high-end UK retailer owned by successful Canadian businessman Galen Weston and his Irish wife Hilary. Ireland’s largest department store was purchased by Selfridges earlier today for an undisclosed sum from Fitzwilliam Finance Partners, a corporate vehicle set up by Irish lawyer and developer Noel Smyth in 2011 with the intention of acquiring the debts connected with Arnotts and nearby properties on Dublin’s northside. Arnotts is now part of a portfolio of upmarket department stores owned by the Westons, which incorporates Brown Thomas in Ireland, Selfridges in the UK, Holt Renfrew in Canada and de Bijenkorf in the Netherlands. This transaction was part of a wider agreement that saw Fitzwilliam Finance Partners and Wittington Canada – the holding company for the Weston Group, Wittington Properties and Selfridges – acquire loans associated with Arnotts and surrounding properties that were once earmarked for the €750 million Northern Quarter commercial development. They paid €107 million to acquire the loans held by Ulster Bank and Apollo, a US investment group that had previously acquired the borrowings held by Irish Bank Resolution Corporation. 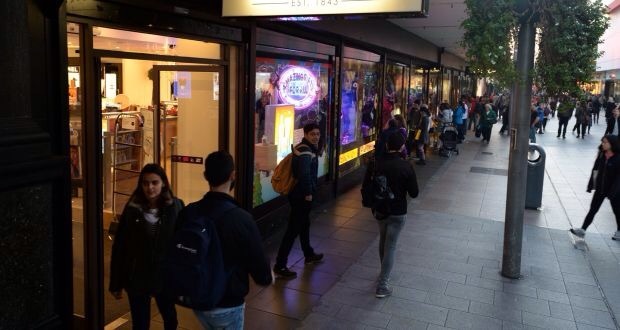 Their purchase of these loans was cleared by the Competition and Consumer Protection Commission in August, clearing the way for Selfridges to take control of Arnotts with Mr Smyth set to develop the properties. Selfridges said it would engage with Mr Smyth in relation to his plans for the adjacent properties. Mr Smyth recently announced the closure of the Boyers store on North Earl Street, which had been an offshoot of Arnotts. Arnotts chief executive Ray Hernan will step down as chief executive to “pursue new opportunities” with Selfridges appointing Donald McDonald as managing director of the business. Irishman Paul Kelly, who is managing director of the Selfridges Group, has been appointed as chairman of ARHL Retail Holdings Ltd, the parent company of Arnotts. Mr Kelly said Selfridges was “delighted” to be taking over the management of Arnotts. “Our priority will be to build on the legacy of this great Irish brand and we will look to enhance the customer experience while cherishing Arnotts unique heritage, which has been an essential part of Dublin’s retail landscape for over 170 years,” he said. Management and staff were informed of the sale earlier today at a series of presentations in the store. Founded in 1843, Arnotts occupies a prime location on Henry Street, one of the busiest shopping districts in central Dublin. Its offering comprises womenswear, jewellery, menswear, homeware, beauty, childrenswear and accessories, and the store also has a number of cafés and restaurants within its 267,000 sq ft footprint. In addition, Arnotts has a 350-space car park and an online trading platform. Selfridges said it was “committed” to investing in establishing Arnotts as the leading department store in Ireland by “enhancing the shopping experience for its customers, upgrading the store environment and introducing new premium brands”. Arnotts’ accounts for the year to the end of January 2014 show that it had bank debts of €383 million. Some €160 million of this related to the privatisation of the company in 2003 with the balance connected with the purchase of adjoining properties for the Norther Quarter development, which was to have comprised 1.4 million sq feet of retail and commercial space. This ambitious plan was devised by Arnotts’ previous owner Richard Nesbitt but was scuppered by the Irish banking and property crash in late 2008.